Recently, I've had some great product sent to me from Zelens. 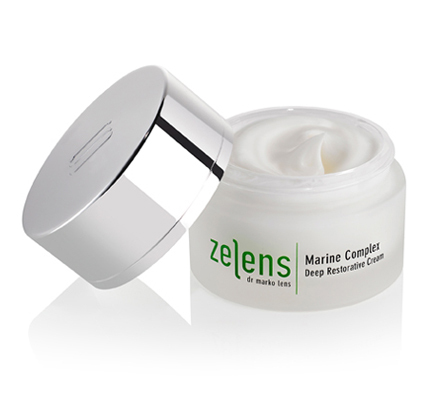 Zelens is a London based skincare company created by Dr. Marko Lens. Dr. Lens is a professional plastic surgeon who has been in the industry for over 20 years. This is an extremely high end brand that sources most of their ingredients from plant botanicals. These specific ingredients help fight anti aging and help with the skin regenerative process. Everything I've tried has felt extremely effective and the product truly spoke for itself. The first product I used was the Hydro-Shiso Balancing Moisturizer. This product was instantly absorbed into my skin once I applied and it felt extremely hydrating. Compared to other moisturizers I've used in the past, it didn't feel watery and the consistency felt thick. One of the main ingredients used in this product is an Omega-6 fatty acid, which proves my point exactly. The second provide I used was the Transformer Instant Renewal Mask. This product was a great moisturizing mask which I used every morning for about a month total. This mask was quick, easy and a great prep for my every day products I use. My skin felt clearer, cleaner and smoother after each use. The last two products I haven't had the chance to try are the Marine Complex Deep Restoration Cream and the Power A High Potency Vitamin A Treatment Drops. The Deep Restoration Cream deeply hydrates the skin and helps reduce signs of aging and wrinkles. 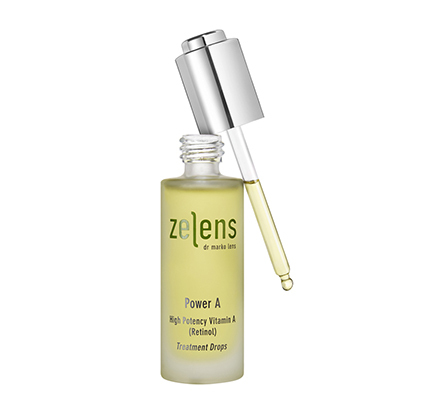 The Vitamin A serum smooths skin texture, reduces the signs of aging and helps clear blemishes and skin imperfections. In conclusion, Zelens by Dr. Lens is a wonderful brand I would highly recommend trying. The product can be found at both Barneys and NET-A-PORTER. Recently, I finished my 8-week collaboration with SlowBurn. To tally my final results, Fredrick attached two sticky pads to my body: one on my foot and one to my hand. This electro current test is called the Inbody 570 Body Scan, which calculates a person's BMI. 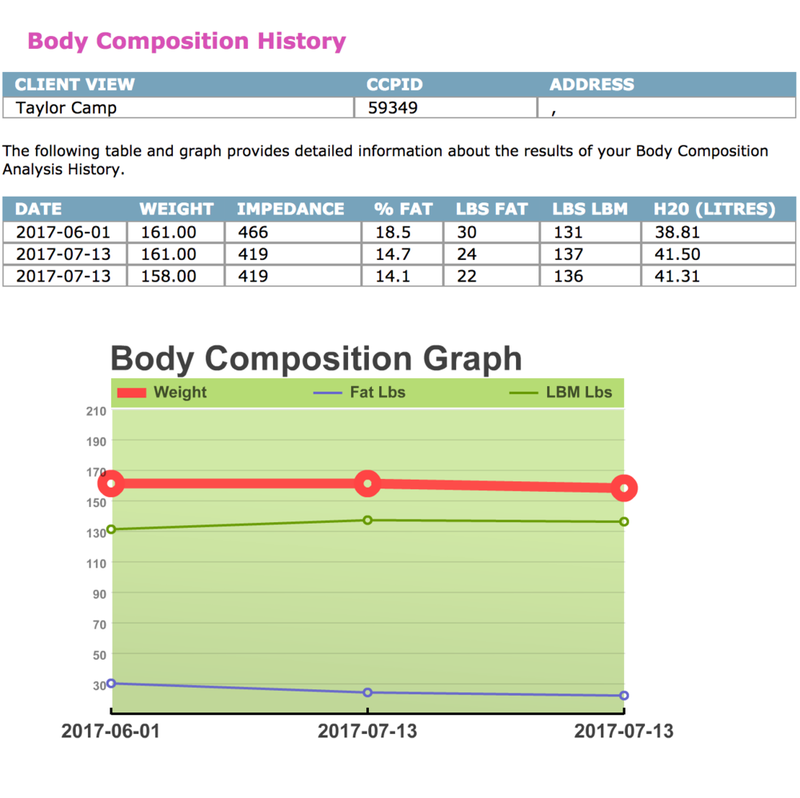 In 2 months, and after 10 sessions, which equals about 2 hours in total effort, I gained 5 pounds of lean mass, muscle and lost 8 pounds of fat. I'm surprised I had this great of a result! Fredrick's program really works and I feel a lot stronger compared to when I first started. I've noticed a big difference in how I physically look and how I feel. During my second to last session, I performed really well on the leg press. I pressed 480 pounds! When I first started, I was only pressing 280 pounds. After I finished, I could tell I came a really long way from when I first started 8 weeks ago back in May. I was really pleased with my final outcome! To conclude, Fredrick is an expert trainer who runs an excellent program that I would recommend to any person of any age or body type. SlowBurn works! Recently, I had a really great Biologique Recherche facial at Paul Labrecque located on 171 East 65th in the Upper East Side in New York City. Biologique Recherche is a French skincare line that has been in existence for more than 40 years. The most famous product they make is the P50 toner. This toner is made for normal to oily skin types. This product gently exfoliates the skin, balances your skins pH and helps with hyper-pigmentation and blemishes. The aesthetician who gave me my facial has worked with the brand for more than 20 years. She was a good communicator and told me what she was doing during each step of this treatment. This customized deep cleansing European facial consisted of six steps. The first step includes deep cleansing, the second step includes toning and balancing the skin, the third step includes exfoliation, the fourth step includes extractions, the fifth step includes finishing creams and the final step includes a bio-reflex face massage. This was a great 60 minute facial I would highly recommend looking into. Thanks Biologique Recherche and Paul Labrecque! Recently, I had a great laser back hair removal treatment at Perfecta 57. Perfecta 57 is a beautiful med spa located on West 57th street in New York City. The treatment rooms are huge and the space is filled with a lot of natural light. This is a really spacious, quiet and comfortable spa I would highly recommend visiting. The aesthetician started the treatment by shaving the hair on my back. Then, she turned on the fan to ease the pain after each pulse. Next, she started the Fotona laser on the top of my shoulders and treated my whole entire back. The Fotona is a great state of the art system that made this whole process simple and almost painless. The whole treatment took about 20 minutes. Afterwards, my back looked red and sore. Prior to the treatment, the aesthetician gave me a hydrating serum to ease the redness from the laser. My back looked much clearer the following morning. I was extremely satisfied with the results! Recently, I've been continuing my strength training exercise program at SlowBurn. I've been progressively gaining more muscle mass as each week continues. It's been interesting to see which machines I've learned to grow into and which machines I still have trouble with. Surprisingly, one machine has been hurting my knee which I had knee surgery on almost ten years ago. Fredrick told me he's never heard anyone have that problem before. It's been great working one on one with such a dedicated trainer. Fred motivates me during each session and has always seemed really focused on my personal results. Also, this exercise program is a full body work out which is great for me since I mainly only focus on running. It's good to focus on all parts of my body instead of just cardio. My favorite machines are the lower body machines. The leg press has generally been easier for me compared to the upper body machines. It's always a great feeling leaving this gym more energized. I like it when my muscles are shaking when I'm done. Thats when I know I had a good work out. Feel the burn! A great bourbon is a must for any sophisticated gentleman. Recently, I've been drinking Four Roses Single Barrel. Four Roses is the only bourbon distillery that combines five yeast strains. The first strain is V, which stands for Delicate Fruit, K, which stands for Slight Spice, O, which stands for Rich Fruit, Q, which stands for Floral Essence and F, which stands for Herbal Notes. These five unique flavors combined create a one of a kind product. This bourbon tastes great on the rocks or straight up. It's smooth and I enjoyed the spicy aftertaste. Over the past decade, this specific Single Barrel product has received multiple awards and certifications in which I completely understand why. Happy drinking! Fredrick Hahn, Owner and Founder of Slow Burn Personal Training Studios. Recently, I've been taking classes at SlowBurn Personal Training Studios. SlowBurn Personal Training Studios currently has two locations. One in Montclair, New Jersey and one located in the Upper West Side in New York City. One SlowBurn session consists of a controlled weight training session compared to high force lifting seen in other gyms. This specific SlowBurn technique helps avoid injury and provides a greater benefit compared to other lifting methods. During my sessions, I've been training with Fredrick Hahn, who's the owner and founder of Slow Burn. Fredrick has been involved in fitness for his entire life. He first started Slow Burn in June of 1998. His clientele includes celebrities, CEO's, TV personalities and journalists like myself. In addition to creating successful gym, Fredrick has also written and published a book about his business. In his book, he talks about how his Slow Burn technique is much more efficient compared to spending hours at the gym. He also touches upon the multiple benefits someone will receive when attending twice a week. Some of these benefits include: lower back and neck pain relief, enhanced joint flexibility, burning fat and improved cardiovascular health. My first two sessions have been a series of trying an array of different weight machines. Since I'm normally a runner it's been a nice change to focus on strength compared to cardio. It's been interesting to see what my body naturally has strength in and what doesn't. Fredrick does a great job assisting me through each exercise and pushes me to my best ability. After my last two sessions, I've noticed a difference in how my body feels. The days when I exercise at SlowBurn I feel more energized and grounded. I'm look forward to another 7 weeks of training and personal improvements! With warmer temperatures fast approaching, chinos are a great alternative to jeans when lightweight pants are needed to combat the heat and humidity of summer. This style of pant was developed in the mid-19th century for British and French military uniforms and was eventually adapted as a fashion garment. Chino trousers generally have a more tapered and slim fit compared to a pair of jeans and is designed with stretchable fabric for added comfort. Chinos are also a great item to either dress up or dress down. I would recommend wearing these pants with a madras shirt and a brown pair of wingtip dress shoes or a colored polo and boat shoes. This is a simple and stylish look that makes a man look sophisticated and ready for any summer occasion. Jacamo is a great online source to find chino trousers, along with a variety of casual and formal styles to fit the modern man. Visit this website to purchase some great fitting and stylish clothing! Happy shopping! 1) What are your thoughts about the evolving men's grooming trend? As it turns out, looking like a lumberjack is harder than it looks! This burly male aesthetic is appealing to the outdoor renaissance man, an urbanite who travels frequently and holds an axe with two hands. Maintaining a beard requires product, time, and effort, and as men get into grooming they pay more attention to their skin. Skincare has never been just for women, so it’s great to see men taking more initiative in maintaining a healthy dermis. 2) What products and brands do you use yourself? My go-to products are FAB 5-1 Moisturizer with SPF, FAB Cleanser, and Prana Farms Body Soap. Natural skincare products are gentle and powerful all at once, so when I recommend them to patients, it’s not just talk: I use them personally and can confidently vouch for their benefits. 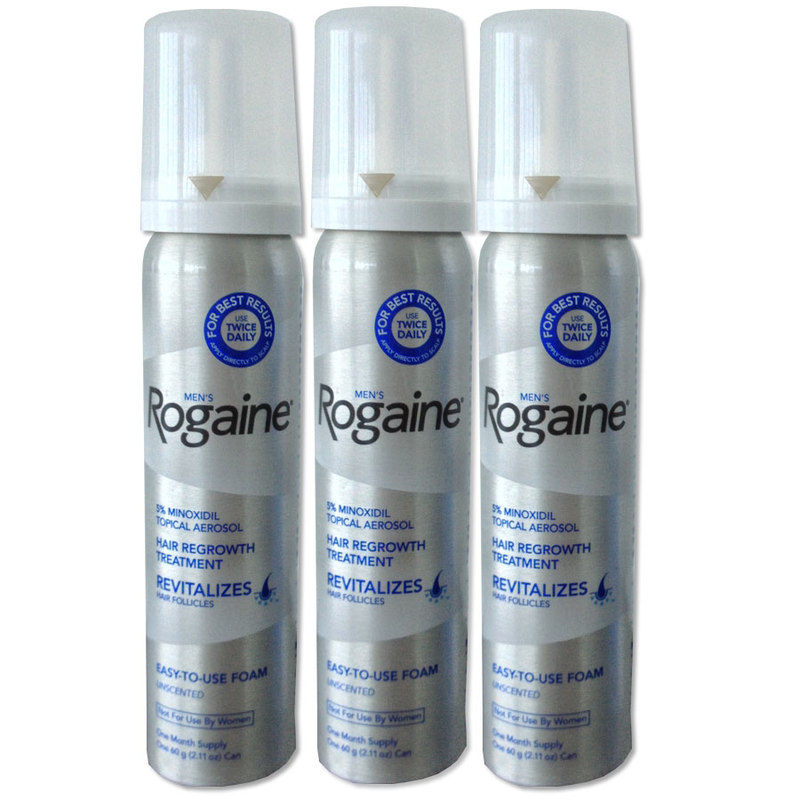 3) What products are you against using? Why? Despite their popularity, I can’t advocate for astringents. Alcohol-based toners strip protective natural facial oils and quickly chap the skin, which is more damaging than beneficial in the long-run. Natural oils are a sign of healthy skin, and prevent fine lines and wrinkles. If you feel your skin is too oily, try deep cleansing or using blotting pads instead. 4) What's your favorite treatment? Why? My favorite treatment for patients depends on their tolerance for healing time. If a patient doesn’t mind a week of scabbing, I can do some serious good with our CO2 laser, which replaces damaged dermis with fresh new skin. For consistently reproducible results with less than a day of downtime, my favorite treatment is plasma micro-needling, which stimulates the skin’s natural healing process via collagen and elastin production. 5) What is the best piece of advice you could recommend for taking care of your skin? Consistent moisturization, hydration, and sun protection is key to great skin! I recommend combining your moisturizer with an SPF of at least 30, and starting off every day with it, rain or shine. Recently, I had an opportunity to test drive the Amazfit Pace. This device is a GPS smart watch with a battery life that lasts up to five days. The Pace is a comfortable and lightweight watch designed to track your metrics (cadence, altitude, pace, distance, time and heart rate) through the running app Strava. It also has a feature that saves your favorite running playlist connected wirelessly through Bluetooth ear buds. And, to incorporate the "smart" watch feature, this device allows the user to receive incoming calls, texts and emails on the display screen while exercising, allowing for phone-free running. Living so close to Central Park has been a great outlet for running and stress relief. After completing each run, the watch has helped me track my progress. This way, I am motivated to compete with myself and set goals before each run, a feature that has become an important part of my training arsenal. The Amazfit Pace, described as “Technology for Runners” sells at retail for $160.00. It’s the best running smart watch that I’ve used and has quickly become my go-to running accessory. Recently, I had a Men's Health Box sent to me. This months box was a special grooming box filled the latest best mens grooming products. I'm most looking forward to using the Das Boom everything wash and the Grooming Lounge razor burn remedy. Both of these products are made in the USA with safe tested ingredients. Other products in this box include ACT mouthwash, Lafco soap and American Crew pomade. If you're interested in signing up, use the code MHBOXMVP20 to receive 20% off your first box! Recently, I interviewed Silvio Albini. Mr. Albini's company is called The Albini group. This group owns five large textile firms and is the the largest European producer of fabrics. 1. The fabrics from the Thomas Mason Collection are luscious. How then have you imagined the accessories line? When we accessorize, our personal style really has a chance to shine; those fine touches on an outfit give us an opportunity to showcase attention to detail, and even a bit of personal eccentricity. Whether it’s neckties, bow ties, scarves, or pocket squares, we want the man wearing Thomas Mason accessories to feel that he is representing himself authentically. We’ve envisioned the Thomas Mason accessories line with this in mind, striving to create pieces from standout to more subdued, and always with the highest degree of material refinement that characterizes our fabrics. We’ve utilized organically sourced 100% cotton, 100% linen, mixed linen cotton, and 100% silk materials in creating these accessories. The palette suits a variety of individual tastes, ranging from intense colors – like shades of blue and military tones, hints of ochre and sugar paper – to clearer tones like colonial, blues, greys, and neutrals. It’s those details that make an impression. Crafting this accessories line gives us the opportunity to both be bold and adventurous with our designs, as well as showcase the quality and care that go into our products in a succinct yet powerful way. 2. Is there a collection of fabrics you are most excited about at this moment? It would be difficult to pick just one! Each collection represents a unique aspect of the Albini brand and expresses a different vision for our fabrics. That being said, I must say that I’m quite excited about Albini Donna, our women’s collection, which was recently exhibited to great excitement at the Milano Unica trade fair and Première Vision in Paris, along with the Albiate 1830, Thomas Mason, and our flagship Albini 1876 lines. Our design team took inspiration from Albini’s past, looking to archival content from the Fifties and Sixties to create a summery, hyper-feminine feel. We’ve utilized traditional, innovative and even unexpected materials in this line: voile, muslin, Giza 87 luxury Egyptian cotton, white fabrics with aspects of paper and talc, and of course classic, breathable linen. Our Albiate 1830 line exhibits the cutting-edge application of our fabrics in distinctly modern and active designs. Denim, sport, and jacquard have historically been the protagonists of this brand. This season we’re excited to showcase more prints – Hawaiian, military, and Japanese, primarily – as well as sport shirts which range urban to pretty. British inspired, with a touch of eccentricity, the Thomas Mason line is characterized by double twisted fabrics, crafted using the finest yarns from the extra-long staple Egyptian cotton. This season we display rigorous and colorful stripes, ideal for perfect and elegant shirts. The palette has been laid out in pure, primary colors, bright and full of personality. And of course we also have Albini 1876, our classic “cotonificio” which encapsulates the Albini brand: producing high-quality fabrics fueled by intensive research, the highest standards, and development literally from the ground up—Egyptian Cotton, Supima Corcoran, and European Linen are used exclusively. Recently, I had a 50% Glycolic back peel treatment performed at the Youth Corridor Clinic by Dr. Gerald Imber. Youth Corridor Clinic is located on East 83rd Street in New York City. Dr. Gerald Imber is a world-renowned plastic surgeon that specializes in natural-looking facial rejuvenation and less invasive skin procedures. As a men’s grooming writer, I highly respect his approach to this sometimes artificial looking world we live in. The Youth Corridor Clinic space is amazing! It looks like a hotel and I immediately felt welcome by the friendly staff and relaxing environment. Many of the med spas I've been to here in the city were in crowded, cramped spaces and felt like either factories or office buildings. This was the complete opposite, which was really refreshing. To start my treatment off, Denise, the aesthetician cleansed my back and made a few execrations. After she was done, she applied the peel and gave me a stress ball. She was very informative and easy to talk to. I felt at ease during the whole process. After she applied the solution, my back immediately started to look much clearer and healthier. She recommended some product to purchase from the local drug store to help diminish the acne formed from a recent laser hair removal treatment on my back. In conclusion, this was a great treatment that my skin saw great benefits from. I really enjoyed my experience here and I look forward to returning soon for another treatment. Recently, I received a great skin treatment called Clear + Brilliant at Skin Thera P, a Medical Anti-Aging spa located on 77th Street in the Upper East Side of New York City. Skin Thera P offers an array of different skin and body treatments and just one visit provided me with exceptional service and results. To me, taking care of my skin is an essential part of my grooming routine and I’m happy to have found this effective treatment so close to home. The Clear + Brilliant laser is a treatment that helps prevent early signs of aging for all skin types. This is a more gentle approach compared to other more aggressive laser resurfacing treatments. After each pass, the laser creates microscopic channels in the skin, which removes damaged skin and reveals healthy and visibly younger looking skin. Some benefits of this treatment include: reduced pore size, improved skin tone and texture, softer skin all with minimal downtime. To start the treatment, Angela, the aesthetician, numbed my face with a special numbing cream and during the 45-minute treatment she did about six passes on my face. Immediately afterwards, my skin was red and I looked sunburned. But just two days after the treatment, my skin slowly returned to its normal color and it felt so much healthier and clearer. This treatment was right for me because I already practice a skin-care routine that includes cleansing and sunscreen. My goal was to prevent aging caused by the pollutants of living in the city and to keep my skin looking good for years to come. Most people have excellent results after 4-6 treatments. The Clear and Brilliant laser treatment is definitely an option for any man who wants to fight the natural and environmental effects of aging. For more information and to see other skin and body treatments visit the Skin Thera P website. Recently, I had a PCA chemical peel for my back at Tribeca MedSpa to address hyperpigmentation. Chemical peels stimulates cellular turnover and collagen production to reveal healthier, more even and luminous skin. This med spa is located in Tribeca near Financial District on 114 Hudson Street. This med spa is really spacious and relaxing. The waiting room had a waterfall, which I thought was great and something I’ve never seen before in a New York City med spa. Suen Lee was the medical aesthetician that gave me my treatment. The treatment room itself was huge and I immediately felt at ease. To start things off, after a thorough consultation and consent given, Suen cleansed and toned the skin on my back. She then applied multiple layers of peel solutions using effective ingredients such as niacinamide, hydroquinone, arbutin, kojic acid, retinoids, L-ascorbic acid, beta and alpha hydroxyl acids. The peel solutions will vary from person to person as treatments are customized based on client’s concerns addressing multiple skin issues simultaneously. I felt a slight tingle which dissipated quickly. The peel solution was left on the skin, then moisturizer and sunscreen was applied. Afterwards, she thoroughly explained my post care directions to avoid wetting the skin for eight hours and to avoid heat for 48 hours. I was given a cream to use for a week for hydration. The whole experience was relaxing from start to finish and my result was beneficial. This was my best NYC med spa experience and I highly recommend you to visit soon. Socks don’t just keep your feet warm. They’re also a great accessory to add color and personality to any outfit. Based in New York City and started in 1971 by Gary Wolkowitz, Hot Sox makes a variety of classic and fun sock styles for anyone interested in improving their sock collection while making a fashion statement. Offering styles for both men and women, the brand specializes in pop culture and art for your feet. Hot Sox also offers a collection of “Artist Series”, socks that bring masterpieces to wearable pieces of art. Some of the artists featured on these socks include: Vincent Van Gogh, Norman Rockwell, Edvard Munch and Leonardo daVinci. The socks are well detailed and it’s easy to tell what each classic masterpiece the sock represents. Other collections include holidays, travel, sports, food and animals. This bold graphic is something that I haven’t seen from any other sock brand before. And as a bonus, Hot Sox advanced knitting methods yield the most premium socks on the market. To mix the style into my own personal aesthetic, I paired the green men’s car sock with a classic brown double monk strap shoe and a pair of brown tweed pants. On top, I would pair it with a blue wool blazer with a green shawl cardigan and a blue polka dot necktie. The green socks coordinate with this layered and comfortable outfit. Best of all, the vintage car graphics are a retro favorite. Hot Sox are a great affordable gift option for any family member this upcoming holiday season. They’re a fun, designer socks brand that offers a unique style to complete any look. I highly recommend a visit to their site and browse the wide selection of stylish socks. Men’s styles range from crew to dress socks, and women’s styles range from low to thigh high. It will be easy to find a pair that suits the personality of your recipient. And while you’re shopping, add some to the cart for yourself! To kick off the fourth quarter of 2016, Men's Health sent me another box filled with their award winning grooming and lifestyle products. My favorite product out of this box was the Sencha Naturals matcha tea latte mix. Recently, I've been drinking more Matcha opposed to coffee because of its amazing health benefits. Some of these benefits include: protects your immune system, detoxifies the body from toxins, burns calories, reduces the risk of stroke, boosts memory and concentration and is high in antioxidants. Matcha can either be served hot or cold. However, I find it more refreshing served cold with ice. If you're interested in drinking delicious Matcha and getting 20% off to this awesome service Men's Health provides, use the code "MHBOXMVP20" at checkout to save and subscribe.